Derbyshire Wedding photography at St Bartholomew's Church in Old Whitington, Chesterfield, Derbyshire. We are known for being Sheffield wedding photographers but Chesterfield is just a short drive down the road for us making wedding photography in this part of Derbyshire as easy as many parts of Sheffield. 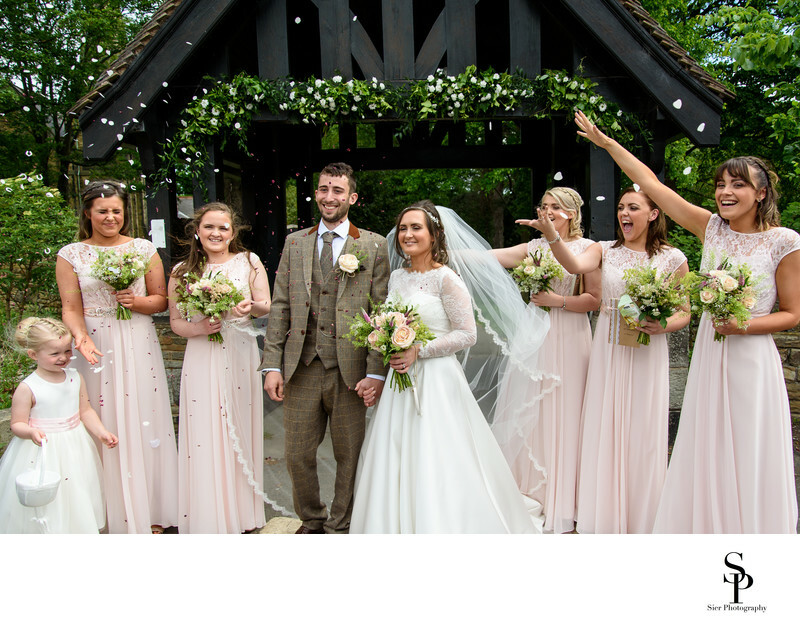 This church wedding was followed by a wedding reception at Ringwood Hall Hotel in Chesterfield. Both St Bartholomew's Church and Ringwood Hall Hotel are wonderful venues, St Bartholomew's Church is so beautiful with such a wonderful and large church year. Ringwood Hall also boast some superb and picturesque grounds with some wonderful areas to take wedding photographs of the bride and groom as well as the wedding guests. This image from the same wedding was taken on the bowling green in front of Ringwood Hall. The day had started out with some of the worst rain we have ever seen in the UK but as the day went on the clouds cleared and it turned into a beautiful, sunny, summer day. In this image the sun beautifully backlights the bride's veil blowing out the detail but adding to the atmospheric nature of the photograph. 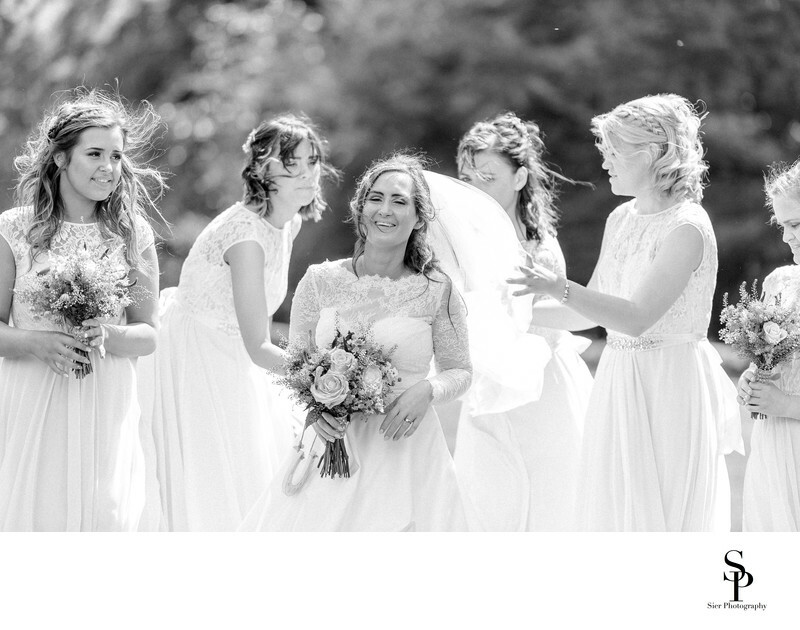 It is so nice to have a warm and sunny day for a wedding and really helps us to create some memorable images. 1/800; f/4.5; ISO 100; 24.0 mm.